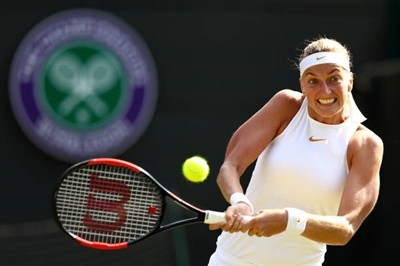 →Why Is Petra Kvitova One of the Best Female Tennis Players in the World? Petra Kvitova is the highest-ranked Czech tennis player, who reached her best ranking of world #2 in 2011 and is currently among the best 10 WTA players in the world. Among Petra’s greatest achievements are victories at 2011 and 2014 Wimbledon. Petra Kvitova was born on March 8, 1990, in Bilovec, Czech Republic. She started to practice tennis in childhood, being encouraged by her father. At the junior level, Petra won 7 ITF singles titles and reached the world #27 ranking in 2007. That year, she took part in the Wimbledon and reached the round of 16. In 2007, she took part in her first WTA tournament, ECM Prague Open, but lost in the second round. In 2008, Kvitova marked her first top 10 win by defeating Venus Williams at Regions Morgan Keegan Championships and the Cellular South Cup. The same year, she made her Grand Slam debut at French Open and proceeded to the round of 16 as well as was a quarterfinalist of Zurich Open. In 2009, the Czech player won her first title at the Moorilla Hobart International and was a finalist of Generali Ladies Linz. In 2010, she reached semifinals at Wimbledon and Cellular South Cup, being called WTA Newcomer of the Year. In 2011, Petra Kvitova gained one of the most important victories in her career at Wimbledon, becoming the first left-handed female player to win the title since 1990 and the first Czech player to win Wimbledon since 1998. She was also the winner of WTA Tour Championships, Brisbane International, Open GDF Suez, Madrid Masters and Generali Ladies Linz. She was at the finals at Prague Open and Aegon International, semifinal at Toray Pan Pacific Open and quarterfinals at Australian Open. That year, she was called WTA Player of the Year and WTA Most Improved Player of the Year. In 2012, Kvitova won the Rogers Cup and New Haven Open. She reached semifinals at French Open, Apia International Sydney, Australian Open, Porsche Tennis Grand Prix and Western & Southern Open, quarterfinals at Wimbledon and Italian Open. In 2013, she became the winner of Dubai Tennis Championships and Toray Pan Pacific Open. 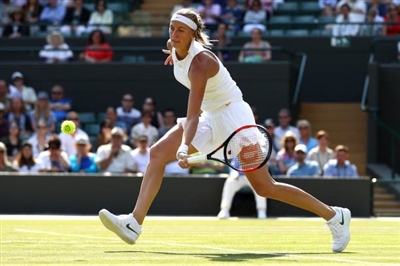 Petra was at finals at Paribas Katowice Open and New Haven Open, semifinals at China Open and WTA Tour Championships, quarterfinals at Open GDF Suez, Qatar Open, BNP Paribas Open, Porsche Tennis Grand Prix, Wimbledon, Southern California Open and Rogers Cup. In 2014, Petra Kvitova won her second Wimbledon title as well as won New Haven Open and Wuhan Open. She reached the final at China Open, semifinal at Apia International Sydney, quarterfinals at Qatar Open, Miami Open, Mutua Madrid Open and Aegon International. In 2015, the Czech won Apia International Sydney, Mutua Madrid Open and Connecticut Open as well as was a finalist at WTA Finals, quarterfinalist at Italian Open and US Open. In 2016, she became a bronze medalist at the Summer Olympics in addition to the wins at Wuhan Open and WTA Elite Trophy. She was at the final at BGL Luxembourg Open, semifinals at Porsche Tennis Grand Prix and New Haven Open, quarterfinals at BNP Paribas Open and China Open. In 2017, Kvitova won Aegon Classic Birmingham, was a semifinalist at China Open, quarterfinalist at Stanford Classic and US Open. In 2018, the athlete had resurgence and won St. Petersburg Ladies’ Trophy, Qatar Open, Prague Open, Mutua Madrid Open and Birmingham Classic titles.